In preparation for the impact of Storm Ophelia, the council has agreed the following closures as precautionary measures in the interests of our customers and staff. We apologise for any inconvenience. Bins Collections will cease at 12noon today, please ensure your bin is secure. We will advise as soon as possible when missed bins will be collected. Recycling Centres will close today from 12noon. All parks and outdoor facilities, including play parks, football pitches and cemeteries will close today from 12noon and will remain closed until inspections are carried out tomorrow. All Leisure and Community Centres including Town Halls will close today from 12noon. The aim is to reopen tomorrow (Tuesday) morning when inspections are carried out. All registration services will close today at 12noon. The service will reopen tomorrow, if you have an appointment for today this will be rescheduled tomorrow. All tourism and visitor facilities will close today from 12noon including FE McWilliam Gallery, Market Place Theatre, Navan Centre, Visitor Information Centres and Armagh County Museum. The Council is working with multi-agencies in preparation for the storm. Bin collections will go ahead today (Monday 16 October) as planned, please ensure your bins/boxes are secure. There may be disruption to council services, we will provide regular updates to advise you of any affected services. The Met Office has issued a series of weather warnings for strong winds for tomorrow and Tuesday. These include an amber wind warning for Northern Ireland for Monday as ex-Hurricane Ophelia passes through. This alert will be in effect from 15:00 to 22:00. The Department of Education has advised that all schools should close tomorrow (Monday 16 October). This is entirely precautionary, however given the weather warnings and the fact that the most severe weather is forecast for when pupils are due to be leaving school, the Department believes that this is an appropriate response. A regional meeting of multi-agency emergency responders met this evening to discuss a co-ordinated approach in light of the latest Met Office assessment. Key statutory agencies will continue to monitor the situation as it unfolds and are prepared to respond as appropriate. 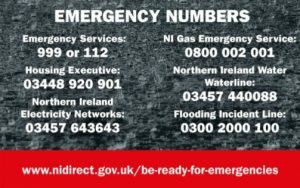 More detailed information on keeping safe and useful contact numbers is available on the nidirect website. 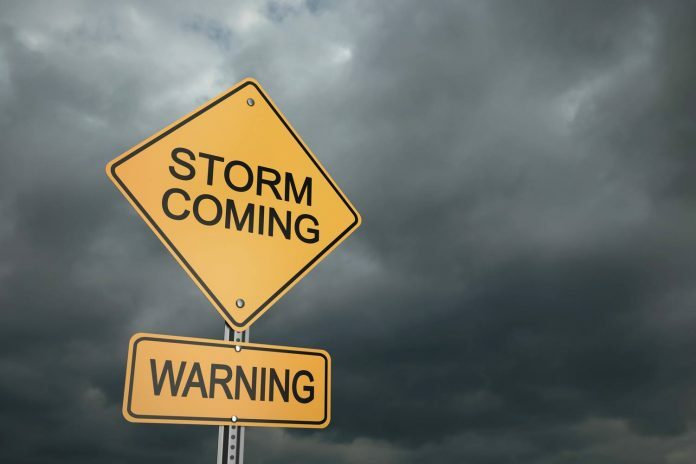 The public are reminded to monitor the Met Office forecasts for their area and to be aware of the weather conditions and to heed safety warnings. Emergency responders will continue to monitor this developing situation and issue further information as appropriate.